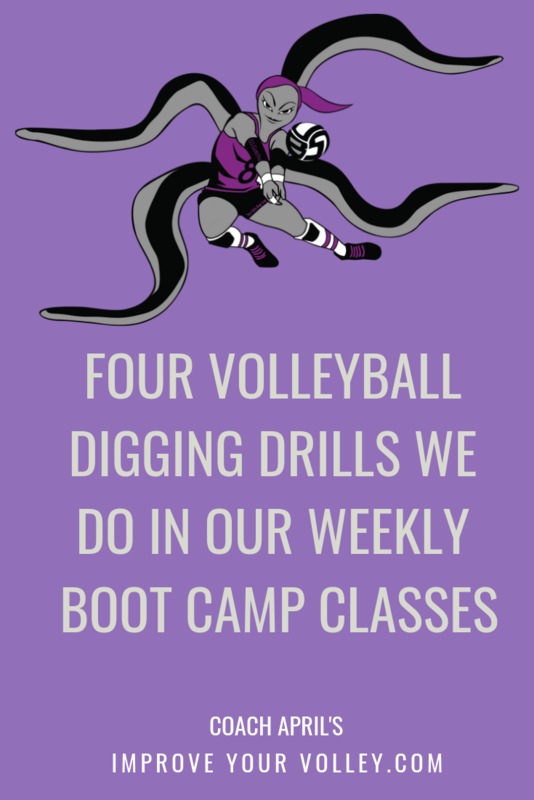 We do various volleyball passing drills in our Boot Camp Class with varied patterns and and movements to improve your ball control skills. 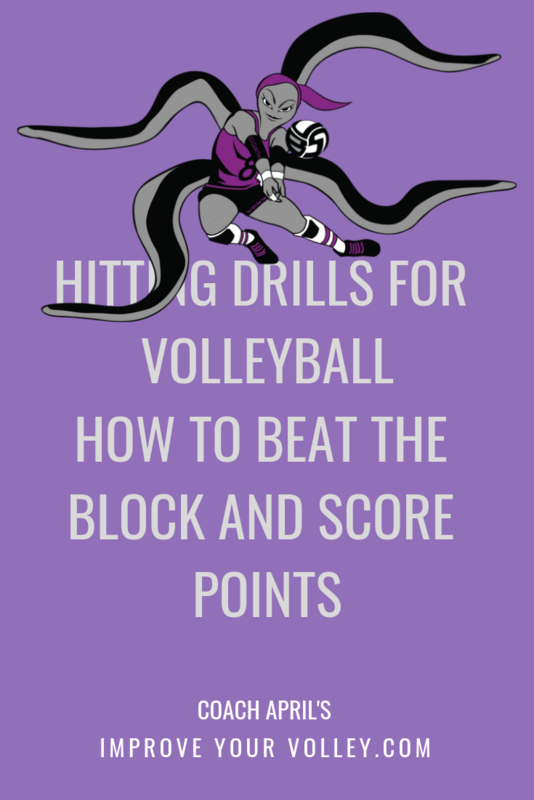 These passing drills volleyball players do in our semi private training classes and as homework to do at home. 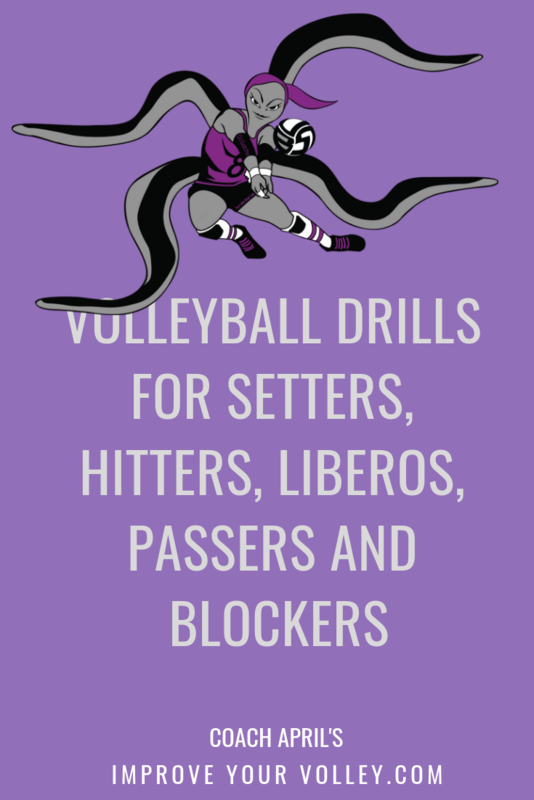 It takes partner passing and ball control practice to the next level. 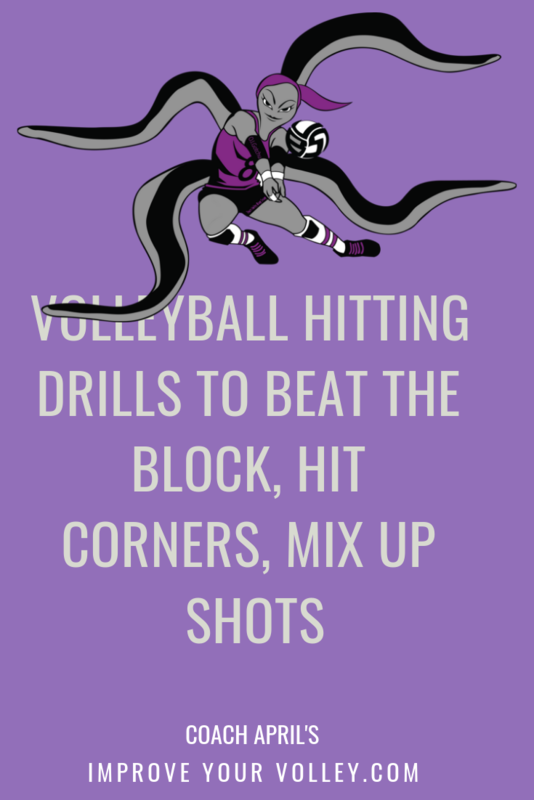 This type of drill can only be done if your ball control skills are on point. 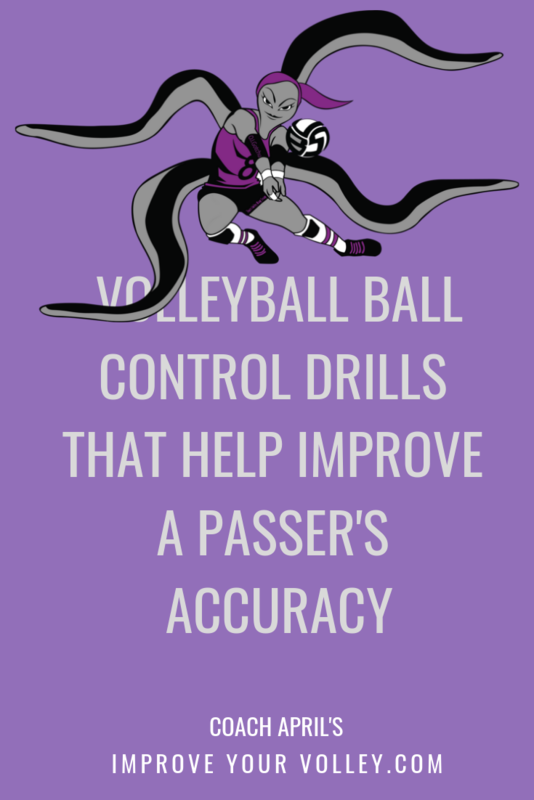 That means you can repeatedly pass to the target you are aiming for…without making them move. 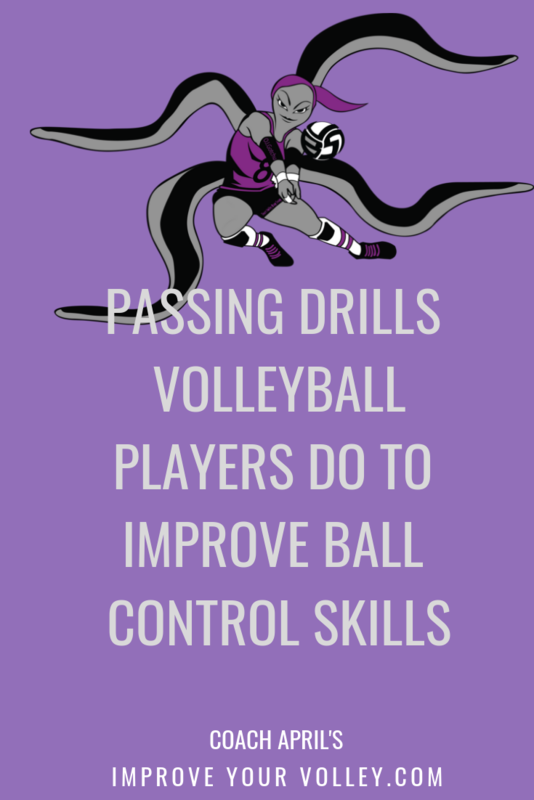 One of the big differences between a JV player and a varsity player besides your ability to control the ball is the ability to play the game at a faster speed while still maintaining ball control and accuracy. 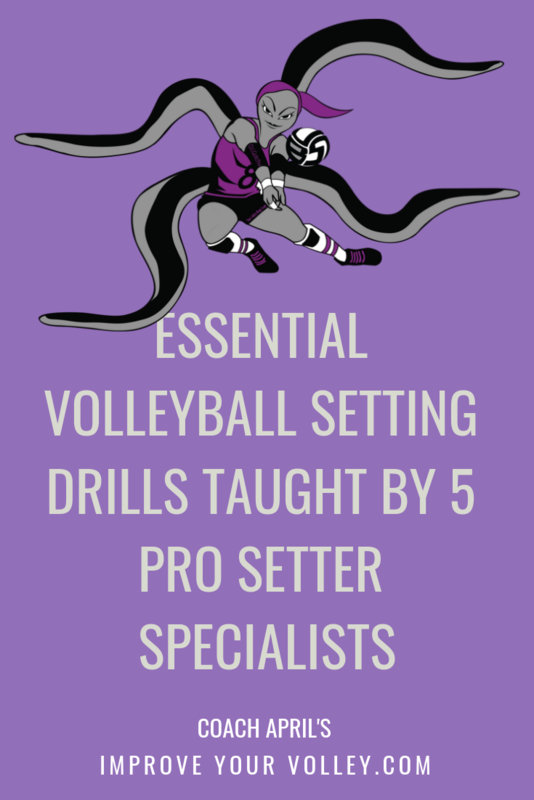 In order to play at a faster pace, it helps to do these types of ball handling and control drills that force you to practice thinking faster and making faster decisions, while controlling the ball to your intended target. You can do this with three friends or teammates. Try it and show us how it goes. 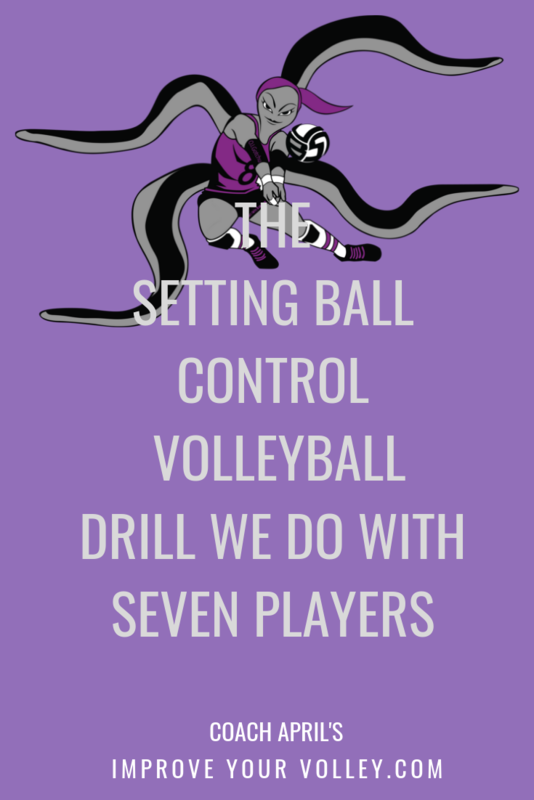 The trick is …figuring out together.…who’s going to lead and who’s going to follow ..all while keeping the ball under control and using good technique. When I do this drill I have my players do all their talking and decision making….while passing the ball. They have to keep passing the ball while doing their problem solving. 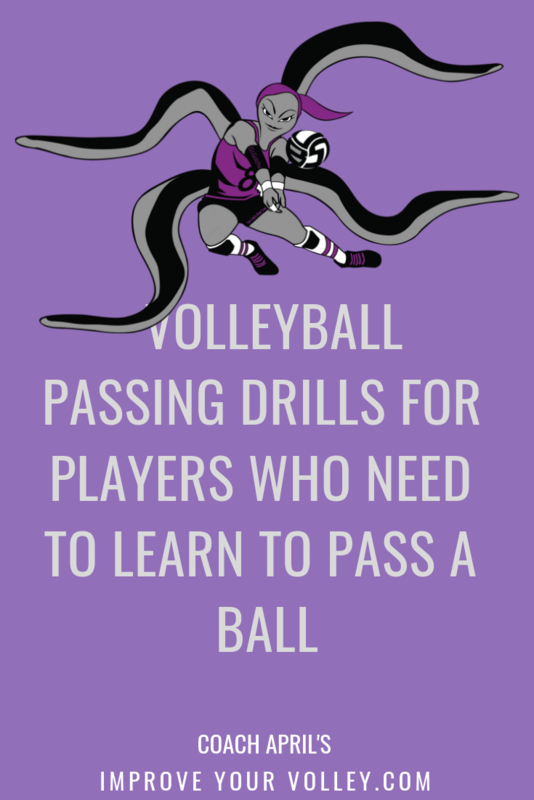 Let me repeat, before getting to this point you need to make sure you can pass the ball to the intended target over and over again. .
From here we took our partner passing drill I talked about up another level in our passing skills progression. 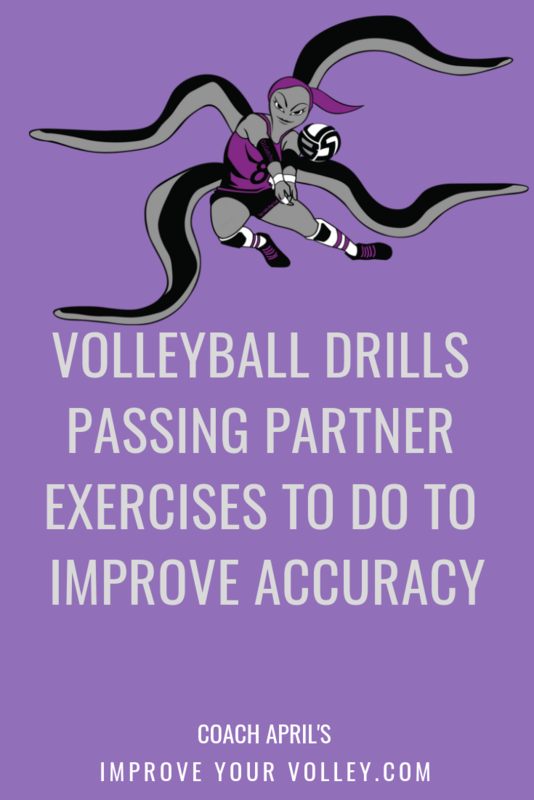 After warming up as usual with normal partner passing…with the person in front of them, they then in a group of four had to pass clockwise to the person on their right. Then when I call “cross court”…the players had to decide when they’d switch partners in mid drill and start passing with the partner across from them. This is exactly what happens on the court…someone has to take charge, whether its a front row captain or a backrow captain…and the others have to trust, listen and follow. At higher levels of play, players have to figure out how to be and get on the same page….faster. 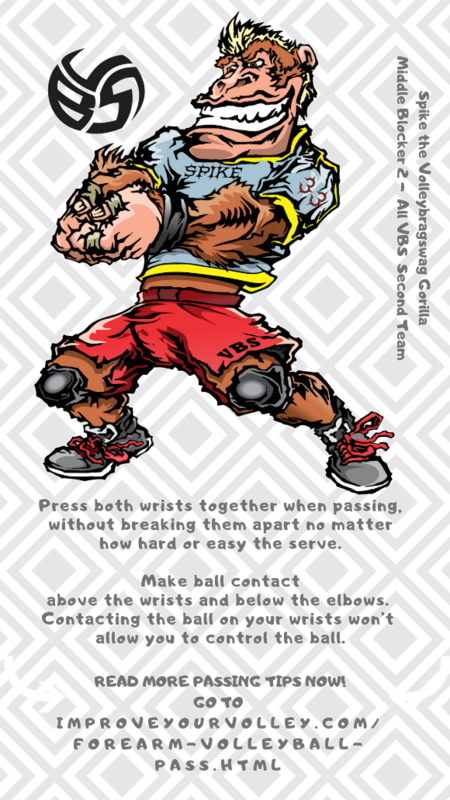 What I mean by that is watching the ball but still “seeing” and feeling what your teammate on your right and on your left are doing…..all while maintaining good form and proper technique. There’s one more important thing we are working on and that’s staying calm and controlled in a chaotic situation. 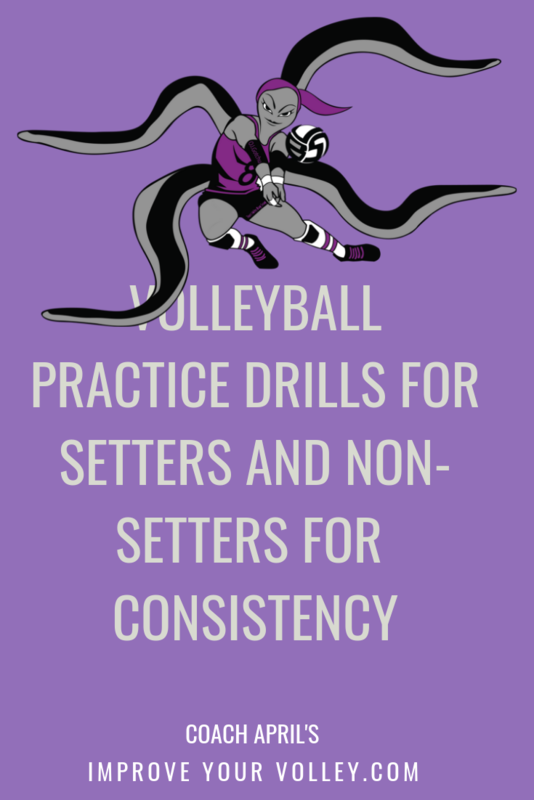 Watch as they do the opposite …they will start passing with their cross court partner and on command they switch to go back to the partner they were passing with that's in front of them. 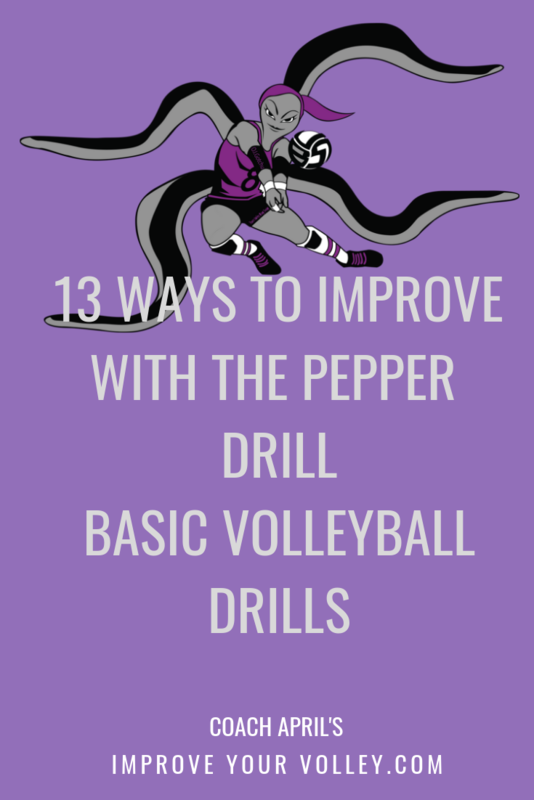 You can learn more about Drills by visiting the Related Links below.